Earlier this week I did some tests around Ubuntu Server and Operations Manager 2012. I did the same in Operations Manager 2007 R2 and the way to get the monitoring to work is almost the same in both products. All challenges that I meet was the same in both products. Before we continue I would like to remind you that Ubuntu is not support by Microsoft in Operations Manager 2007 or 2012. The management pack and the agent I am using is community projects and is not supported either. As I didn’t had a management pack for Ubuntu or a Ubuntu agent I thought that could be a good next step. There is a Ubuntu agent and a Ubuntu management pack at Codeplex that you can download and extract. 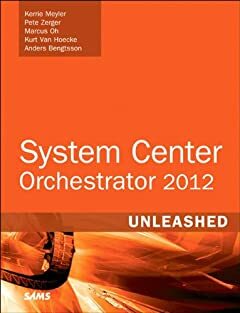 You will notice there is two GetOSVersion.sh files, according to instruction at Codeplex you should use these files and replace the default file on your management server (C:\Program Files\System Center Operations Manager 2012\Server\AgentManagement\UnixAgents). Operations Manager copies this file over to the Linux/UNIX machine (/ tmp/scx-username) during discovery and executes the script. The script will get what kind of Linux/UNIX it is and report back to Operations Manager, that decides if it has a management pack or not for the version. The challenge is that we had two files, to decide which one to use you can copy them over to your Ubuntu machine and manually run the, You will then see that only the GetOSVersion.sh that came with the management pack returns valid XML. In other word copy the GetOSVersion.sh from the agent folder to your UnixAgents folder on the management server. After that I still had some problem with the discovery, so I installed the agent manually on the Ubuntu machine (sudo dpkg -i scx-1.0.4-265.Ubuntu.10.x86.deb) and restarted the server (sudo reboot). After reboot I verified that Microsoft SCX CIM server was running (ps –ef|grep scx). Then I ran the discovery again and a new error showed up. As you can see in the picture below there seems to be a problem with the certificate that the Ubuntu machine is trying to use. Normally the Linux machine will get a certificate signed by the management server, during the discovery. But in this example we installed the agent manually so the certificate is self-signed by the Ubuntu machine. If you copy the certificate file (/ etc/opt/microsoft/scx/ssl/scx-host-ubuntu02.pem) to a Windows machine and rename it to .cer you can open it and look at it. To solve this certificate issue, copy the certificate from your Linux box to your management server, run scxcertconfig -sign scx-host-<hostname>.pem scx_new.pem. Then rename scx_new.pem to the name of your Linux generated certificate and replace it on your Linux box. Restart the SCX service (sudo scxadmin -restart). Please note that this is un-supported by Microsoft and provided “as is” with no warranties at all. Sweet Anders i Will test this in my lab environment!! Nice guide!! what do you think of the caption of say like CentOS. it feels like OpsMgr 2007r2 just looks in the caption file. But wonder how different CentOs are from RHEL..